This month I am so excited to explore the fascinating island of Malta. The Republic of Malta is actually an archipelago in the middle of the Mediterranean Sea and includes three populated islands, Malta, Gozo and Comino. These islands have a long and intriguing history dating back to around 5,000 BC. The Phoenicians, Greeks, Romans, Moors, Knights of St. John, Sicilians, Spanish, French and British, among others (!) have ruled or invaded these small islands. 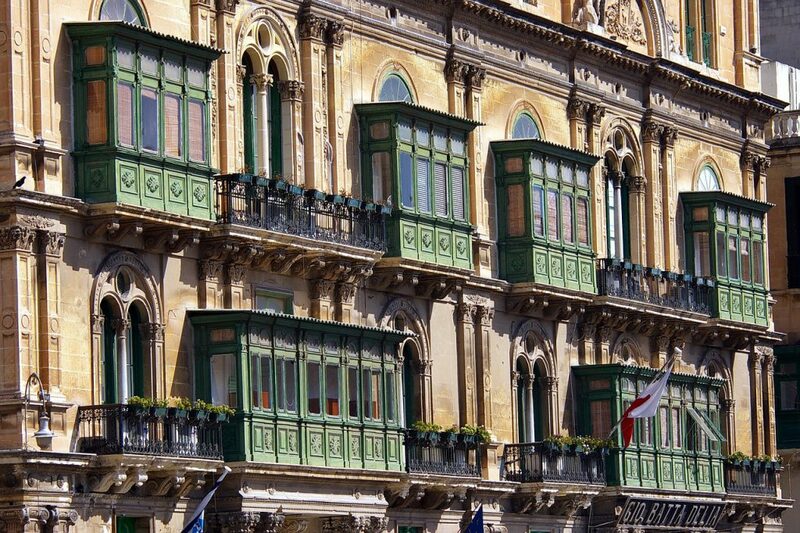 Malta is an island of beautiful and historic architecture. 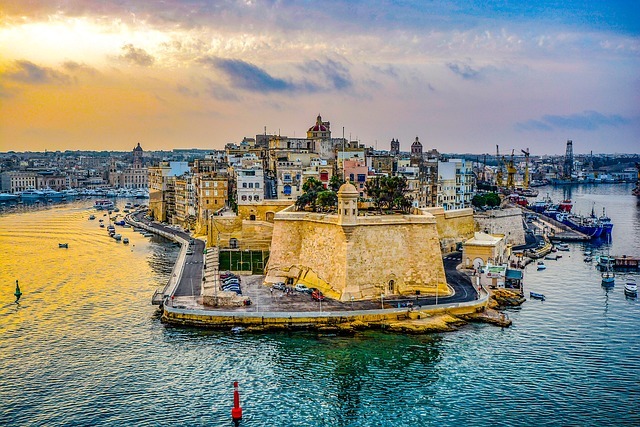 It has a distinct old world feel and is distinguished by fortified cities built of golden limestone, the Grand Harbour at the capital city of Valletta built in Roman times, ancient temples, ornate churches and baroque domes. 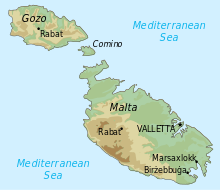 Although it is closest to Sicily, Malta has a landscape more similar to North Africa, with dry, rocky low hills. 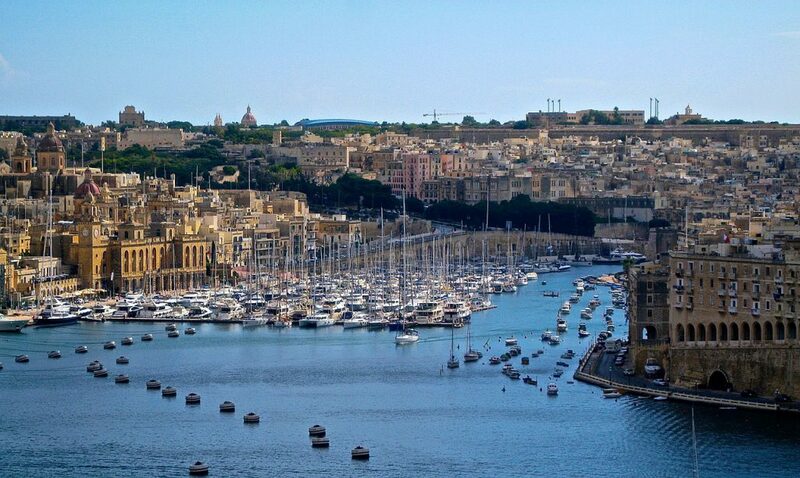 International Living magazine has written that Malta has the “best climate in the world”. It also reportedly has the most sunshine of any place in Europe. Perhaps these are some of the reasons that around one and a half million tourists visit this small nation, whose population of around a half million people is only around a third of that. 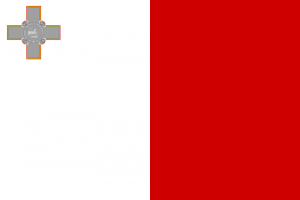 Malta gained independence from Britain in 1964, became a republic in 1974 and joined the European Union in 2004. The national language is Maltese, a mixed language with words from many of the nationalities that are part of it’s history, written in the Roman alphabet and with Arabic grammatical structure. English is spoken by around 88% of the population and is an official language of the state. 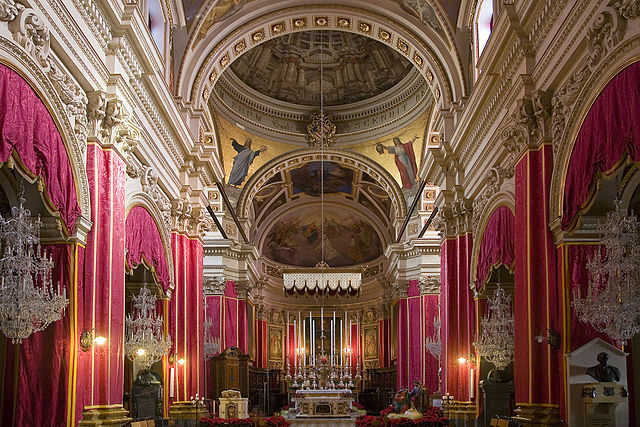 Valletta, the capital, is a city of steep streets, magnificent architecture and many museums. The island is dotted by ancient temples and ruins dating back thousands of years. The greatest architectural legacy is undoubtedly from the Knights of St. John, who held power in the islands from 1530 until Napoleon took over in 1798. Gozo, the second largest island, has it’s own identity. It is more fertile, has a slower pace and is less developed. It has long been identified with the Isle of Calypso. 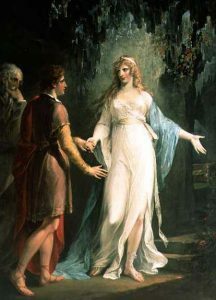 In Homer’s Odyssey, Calypso was in love with Odysseus and held him captive with her supernatural powers for a number of years before letting him go. Gozo’s history, dating back to 5,000 BC, is quite turbulent, marked with Arab and Turkish invasions, enslavement and banishment to Libya. Their were said to be only one monk and 40 elderly Gozitans left on the island after the Ottoman attack in 1551. The island was repopulated by inhabitants of mainland Malta under the direction of the Knights of Malta between 1565 and 1580. We will explore more of the fascinating history of this remarkable place and visit the many incredible sites in the coming month.